LATEST UPDATE : Good News !! There will be Recruitment on 1066 Posts in UP Sachivalaya (UP Secretariat Service). Proposal has been sent. Online Application may start Next month. Get Full Details of UP Secretariat Recruitment 2018-19 below…. Candidates who are waiting for Vacancies in UP Sachivalaya, there wait can be ended soon. 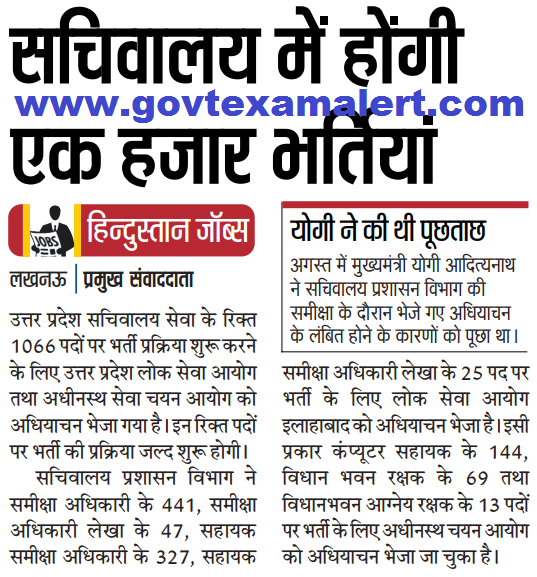 Under Uttar Pradesh Sachivalaya Service, Recruitment Process on 1066 Vacant Posts will start soon. There will be vacancies under Group B & Group C Cadre. Get Details of Vacancies below…. NOTE : Proposal has been sent to start Recruitment Process on these Posts. It should be noted that UPPSC will make Recruitment on RO ARO Vacancies while UPSSSC will make Recruitment on Computer Sahayak & Vidhan Bhavan Rakshak Posts. Information regarding Educational Qualification, Application Fee & Pay Scale will be mention in Official Notification. Age Limit : Age Limit for UP Sachivalaya Recruitment 2018 can be 18 to 40 Years. Age Limit Cut Off Date will be mentioned in Official Notification. Recruitment Process : Online Applications will be invited for these posts. UPPSC will start Recruitment Process for Group B Posts. There are also Vacancies for Group C Posts. So UPSSSC will make Recruitment on Group C Posts. Selection will be based on Merit of Written Exam. Candidates are advised to Keep in touch with our website (www.govtexamalert.com) for Latest Updates regarding UP Sachivalaya Recruitment 2018 for Group B & Group C Posts. Bookmark this Page to get instant updates (Press CTRL+D). For any Query/ Assistance leave a Comment in the Box below. You can also leave a message on our Facebook Page (www.facebook.com/jobdisha) OR Leave a mail to disha@govtexamalert.com. 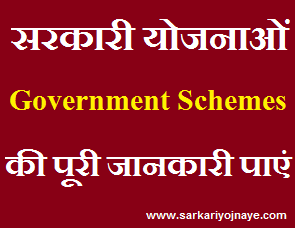 What is expected date of pre exam for Sachivakaya RO/ARO ?